I have spent the past few months focusing on the kitchen. I made most of our meals, and continued my dedicated menu driven shopping trips. Some of my kitchen successes include candy corn white chocolate chip cookies and cream cheese covered cinnamon roll cake. I even made homemade ramen noodles for our miso soup! 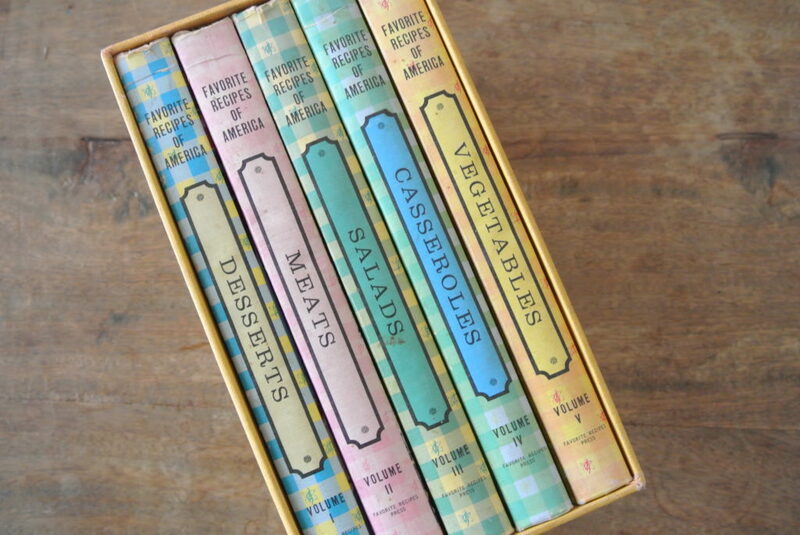 Now, I am combing through my cookbook collection just in time for Thanksgiving. 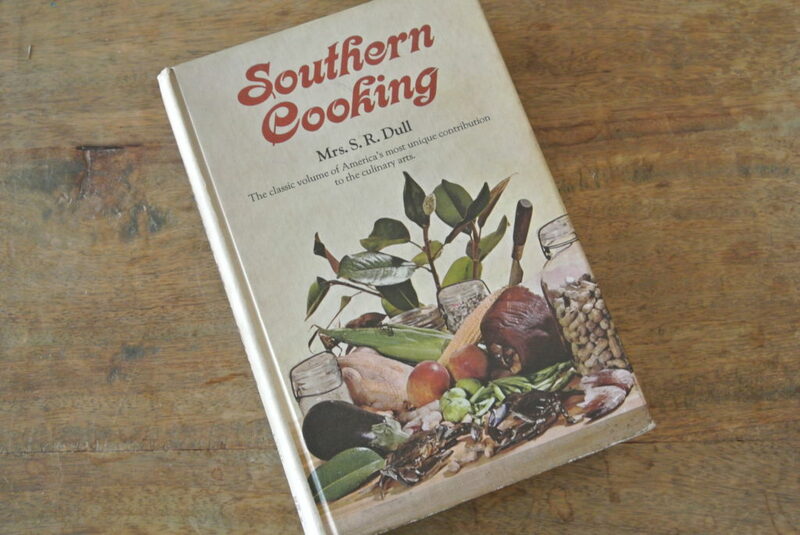 My vintage cookbook’s have been collected over the course of the past eight years since moving to this house. They all come from vintage books stores, and thrift stores. Some were gift, and others keepsakes. I spent years in pursuit of Julia Child’s Mastering the Art of French Cooking in thrift stores. After the movie Julia and Julia was released vintage copies were going over sixty dollars! Read on to find out if my mission was a success! My collection of local cookbooks. Church Cookbooks a stable of the south. 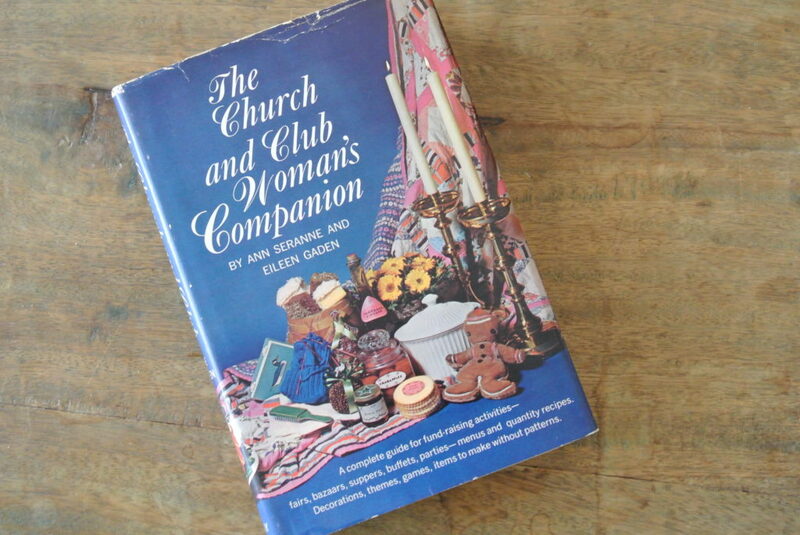 I have multiple church, club, and family cookbooks. There little spiral bindings are terrible to store, but they are a treasure. They have a great set of unique and local recipes. Often, the cookbooks support a good cause, and are little pieces of the community. I enjoy the bits of random in them. 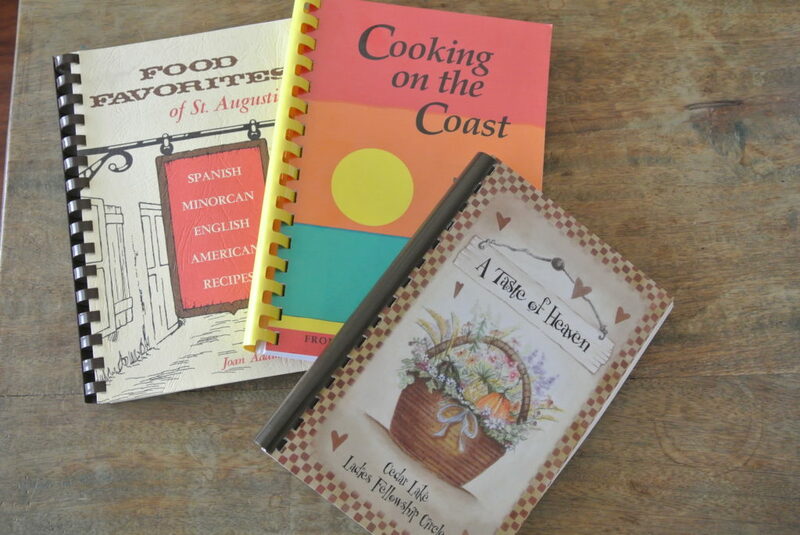 of my cookbooks have little stories and quips about life in the area. It is nice to have my grandmother’s church group cookbook. When I think of her cooking and miss her during the holidays, I can open this and make something she used to. Every wonder how much coffee to serve? How about a list of appropriate appetizers? This book, published in 1964 is still relevant today despite the birth of Pinterest. It is organized by event categories. It not only has food, but art projects as well. I hope to use this for a classic holiday party sometime soon! 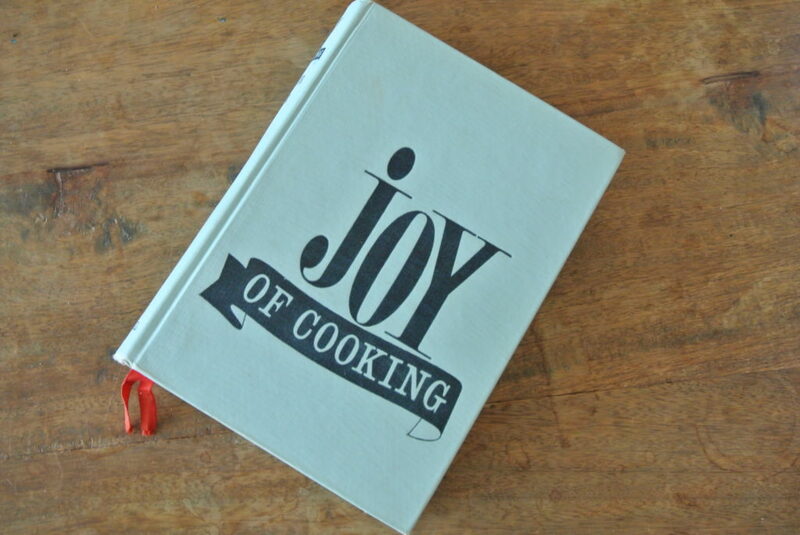 This copy was a delightful gift from a good friend who loves to cook as much as I do! It’s retro teal color is perfect for my vintage shelf. The Joy of Cooking has been a stable in American kitchens since the 1930s. Confession, these books were purchased based on the cover. I found the complete box set in a vintage bookstore in Yellow Springs, Ohio. It’s gingham covers are divided into five categories. Not all the recipes are gems. There is a lot of JELLO involved. Unlike other books on this list each volume has multiple sections of color illustrations. Just in case you want to see if you nailed it. 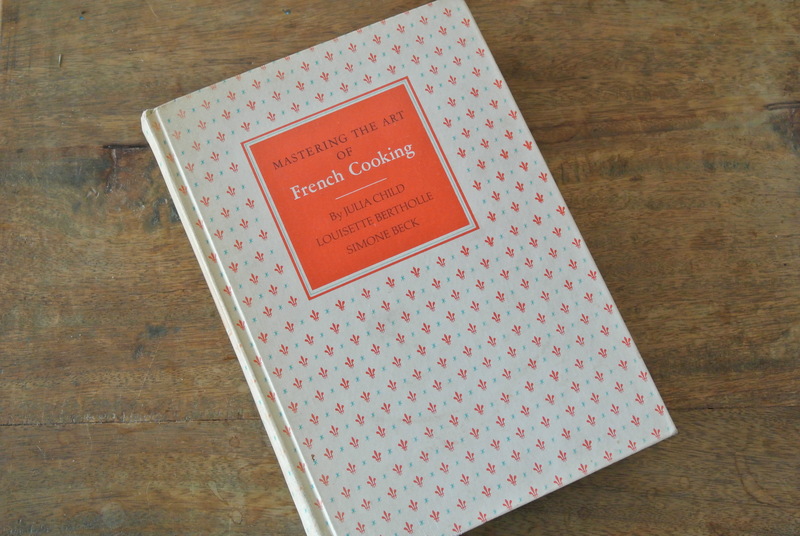 I found Mastering the Art of French Cooking at a thrift shop two years ago. The best part, instead of sixty dollars, it cost two. Although I have not tried any of the recipes in this one. It is iconic. It is a great to have it in case I need to whip up lady fingers! If you are INTERESTED in these books you can find them ONLINE. They should all be available in some editions on Ebay and Amazon. Maybe even Etsy! What favorite cookbooks are in your kitchen?